[23% OFF] 2019 Gingham Underwire Push Up Thong Bikini Set In MULTI-A | ZAFUL .. I am about 5\'8, 135lbs, 34b bust and 26\" waist with wider hips. I ordered a size medium. Not my fav one of all the ones i ordered but it does fit well and i like it!! Would recommend. Perfect for an ultimate beach babe look. 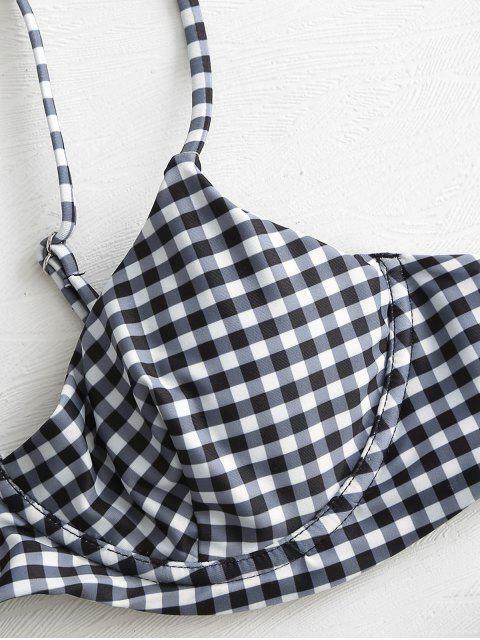 The gingham bikini top gently lifts your breasts with its underbust wires, built-in pads, and adjustable shoulder straps. It is fastened by a clasp closure at back. These matching swim bottoms come in a Brazilian fit.